Do you have something special in your family that has been passed down from generation to generation? If you do, you already know how special it can be. If you don’t have a special family heirloom and would like to start one, you might consider having a family crest made out of traditional stained glass. Natural light has become a much sought after factor for today’s home buyers and homeowners. To meet this desire, the trend has been for more and bigger windows in homes over the past few decades. However, even today there are many Kansas City homes that have rooms without enough light. By installing transom windows (this is a home renovation project) you can add the light you’ve been craving, along with architectural interest to the room. Stained glass skylights can complete your interiors design. Does your Kansas City home have one or more skylights? They are a beautiful feature that can add a lot of light into your home, and architectural interest as well. They also just happen to be a really stunning place to add stained glass. Stained glass windows for your Kansas City garage. Do you have a favorite style that you have worked hard to keep consistent throughout your entire Kansas City home? If you do, you already know what a classy and elegant look this adds to your home’s appearance. Stained glass for your basement can enhance your style. Art Deco designs in your home or office. Anyone who is a fan of Art Deco designs doesn’t have any trouble recognizing this beautiful style. Some people may have a few Art Deco decorations or paintings in their home or office, perhaps even a deco lamp or sculpture. But what about if you wanted to take your love for Deco one beautiful step further? Have you considered Art Deco Stained Glass? In your home? Or your office? Custom stained glass in Kansas City style. 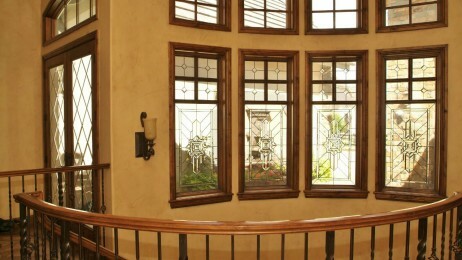 Is custom stained glass style your style? Let’s explore this option and find out.